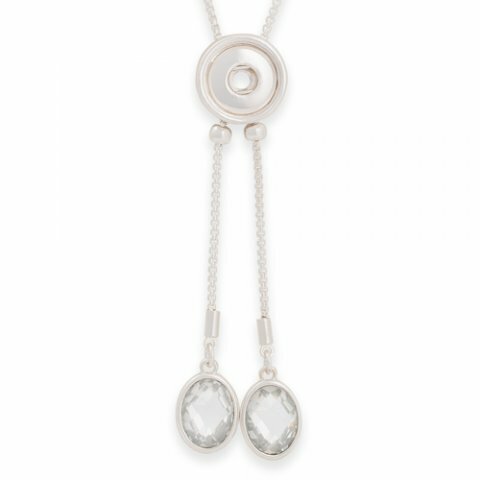 Large oval crystals swing from the ends of the Crystal Bolero Necklace to catch and reflect the light as you move. Silver stopper beads can slide along to length of the silve box chain to allow you to adjust the position of the snap for a custom fit. This is my Go To Necklace. I love the adjustable sliding dot foundation. The dangle crystal show off beautifully.